Today Expert Voices contributor Christopher M. Schroeder looks at why the Middle East is attractive to Uber and other U.S. tech companies. Cars are smarter than ever, but their giant screens can be dangerously distracting. Vastly improved voice controls could improve safety in the near-term and potentially govern how we interact with automated vehicles in the future, too. The big picture: Removing eyes from the road for just two seconds doubles the risk for a crash, according to AAA research. With poorly designed technology, simple tasks turn into complicated ones, diverting drivers' attention away from the road. Staying alert is already a challenge with many of today's partially automated driving features. Context: Voice controls have always made the most sense but using them can be laughable. Drivers sometimes have to use stilted commands like "navigate" or "telephone" instead of speaking naturally — and still the systems don't always get it right. What's new: Advances in natural language processing technology mean drivers can now converse with their car in a way that is both safe and helpful. Soundhound, which started out with a music recognition app, spent the past decade quietly adapting its AI technology to work as a hands-free intelligent system for cars. It has partnerships with Daimler, Hyundai, Honda and PSA, the parent of Peugeot, Citroen and Opel. Nuance is also developing in-car assistants that can track drivers' emotions and help keep them engaged. Of note: Consumers want their cars to mimic their smartphones so most carmakers have already incorporated Apple Carplay and Android Auto into their infotainment systems. Yes, but: There's a downside to that strategy. The invitation to those data-hungry tech giants is getting between the carmakers and their customers, making it harder to create their own brand experience inside the vehicle. Soundhound offers an alternative. "We've architected a platform that enables major companies to harness best in class technology, but still own their own brand, and not be disintermediated by the giants," says VP and general manager Katie McMahon. Mercedes Benz set a new industry benchmark for voice controls in the 2019 A-class sedan and GLE utility with its MBUX infotainment system. Drivers can control many of the car's features by speaking conversationally after a wake-up command: "Hey Mercedes." The car understands things like "I'm cold" or "I feel like Asian food, but not Japanese" and responds accordingly by turning up the heat or suggesting nearby Chinese or Thai restaurants. It can also tap into the cloud for answers to multilayered, contextual questions on 150 different topics. The only car-based features it won't let you control by voice are safety-related things like lane-keeping assist or adaptive cruise control — Mercedes doesn't want you to accidentally disengage the systems by talking about them. 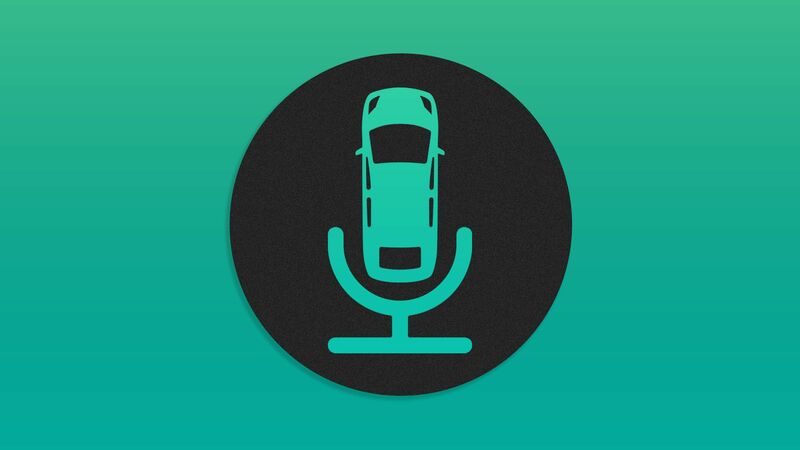 What to watch: Natural language AI voice systems could become one of the most effective driver-assistance technologies available. But they're still potentially a form of cognitive distraction even though your eyes don't leave the road. We'll be watching to see how they impact safety. Uber's $3.1 billion acquisition of Dubai-based Careem is its largest to date, and the second tech acquisition over $500 million in the Middle East by a U.S. tech giant, Christopher M. Schroeder writes for Axios Expert Voices. Why it matters: U.S. tech leaders are eyeing investments in the Middle Eastern startup community as a way to achieve rapid scale in a large, young and increasingly affluent market. The impact: There is rising customer demand for safe, clean, and reliable mobility and delivery. The Uber-Careem deal follows Amazon's purchase of local e-commerce rival, Souq, in 2017. Careem was Uber's largest rival, with over 30 million registered users for their ridesharing, motorbikes and delivery services across 15 countries and 120 cities, from Saudi Arabia to Pakistan. The bottom line: For tech giants, betting on local players can be the relatively safe strategy, compared to broaching each country's market on their own. With Uber's impending IPO, the Careem acquisition confirms that it is pursuing aggressive international growth, unlike Lyft’s domestic focus. Schroeder is a tech investor, consultant, and author of "Startup Rising: The Entrepreneurial Revolution Remaking the Middle East." He advised two venture capital firms who invested in Careem. Promising experiments with autonomous vehicles won’t go anywhere unless the U.S. figures out how to repair today’s broken infrastructure. The big picture: Roads, bridges, tunnels and other infrastructure in the U.S. received a D+ grade from the American Society of Civil Engineers in 2017. The Trump administration and both parties in Congress agree infrastructure is a bipartisan issue, but they've made no progress in passing legislation. What they're saying: At an Axios event I moderated yesterday in D.C., all four panelists — two members of Congress and two lobbyists — said roads and bridges need repair, but no one seemed sure how to pay for it. Money authorized in 2015 for the short-term Fixing America’s Surface Transportation (FAST) Act, runs out in 2020. The Highway Trust Fund, which had been a stable source of road funding for decades, can't be sustained by the federal gas tax if the country is shifting to electric vehicles. Motorists could be taxed for vehicle miles traveled instead, but that raises privacy concerns, noted D.C. Congresswoman Eleanor Holmes Norton. Meanwhile, urban planners just want them to get on with it so they can keep up with changing technology. “We have to take care of basic infrastructure while we also look at the flashy new technology coming," said Clarence Anthony, CEO of the National League of Cities. "Imagine AV systems being built on bad roads." "Other countries are moving ahead pretty dramatically in this space," agreed Shailen Bhatt, president and CEO of the Intelligent Transportation Society of America. "We entered the 21st Century at the top of the heap, but you don’t just stay there." What to watch: After more than a year of inaction, President Trump and members of Congress on both sides of the aisle appear willing to start working together on a bipartisan infrastructure bill, which could be considered by House committees as early as May. The big picture, per Stan Caldwell of Carnegie Mellon's Traffic21 Institute: "Tele-operations of autonomous vehicles could be the bridge to large-scale deployment of driverless vehicles while still enabling level 4 human intervention. Recall how long our telephone systems relied on human operators." GM is one of the investors in Lyft. Its nearly 8% stake is worth $1.3 billion at $72 per share. My thought bubble: As we've reported before, a big shakeout is coming among the 50 to 100 companies developing this key AV technology. Always follow the money. Why it matters: Car designers are working on facial recognition, drowsy-driver alert systems and other features for monitoring people behind the wheel.